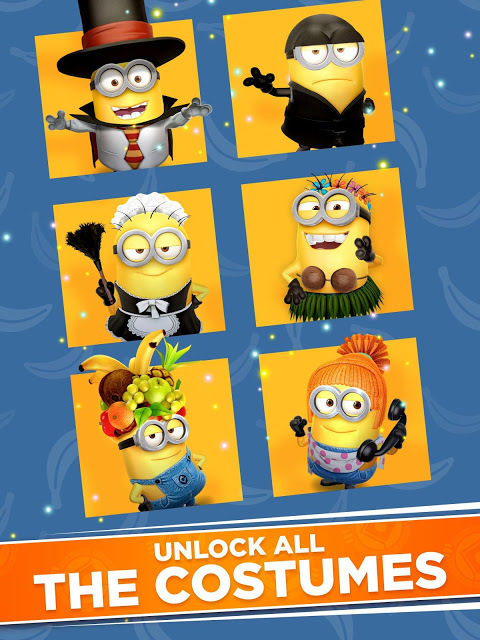  Run and have fun with the Minions in the official Despicable Me game! 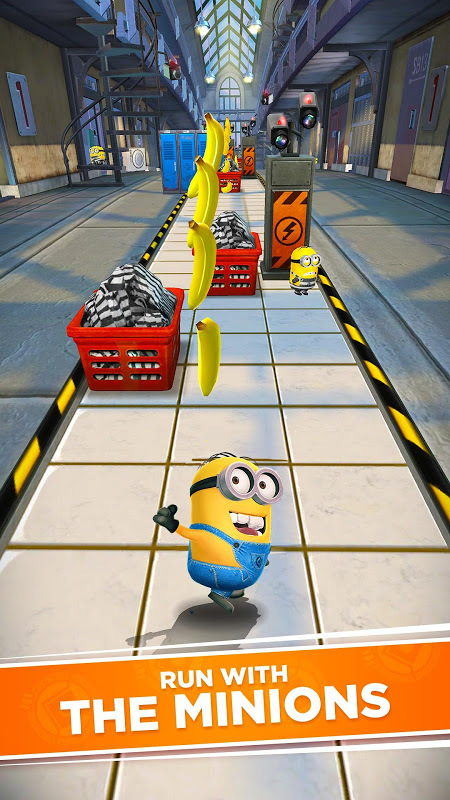 After the movie's success, comes the game based on the minions from Despicable Me. 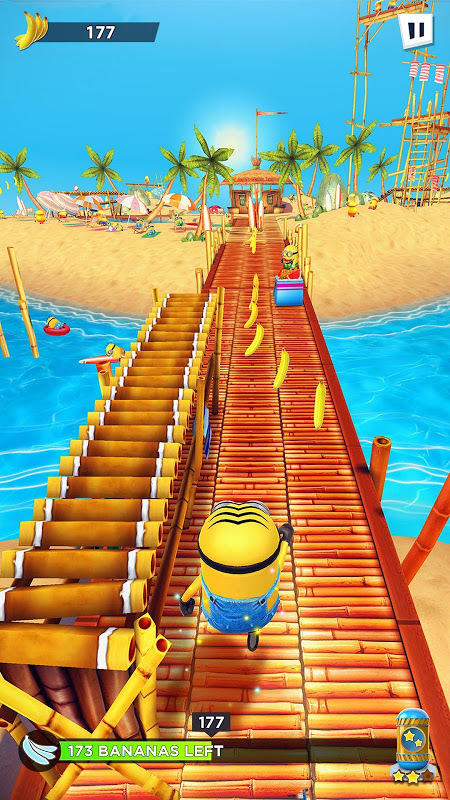 Join the Minions in their adventures and help them collect exotic fruit to make the most appetising jelly. You can make these yellow, funny and naughty little creatures to jump, roll, dodge and scramble to complete action-packed missions. 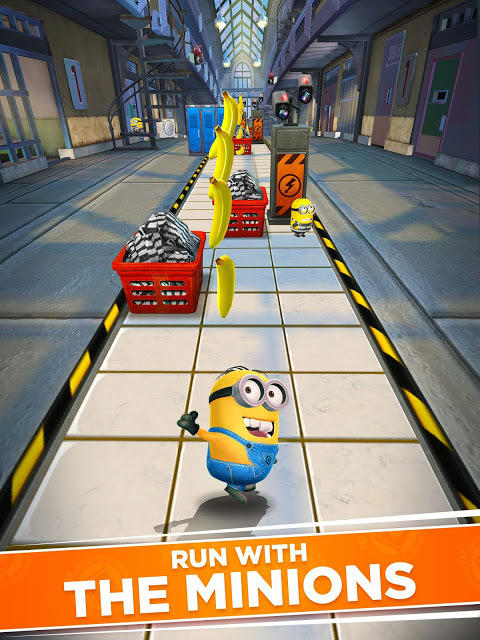 Despicable Me: Minions Rush brings you all the antics and joy you expect from a group of Minions. You will never know when will the Minions bring you another fun unpredictable moment and prepare to be asked to perform some despicable actions to finish their missions. You can customise their clothes, weapons and power-ups while running through some of the movie's most iconic places such as Gru's Lab and Residential Area, El Machos Lair, Minion Beach and many others. Stop Vector, El Macho and the Villaintriloquist from their mischievous plans, as well as other villains created specially for this game. 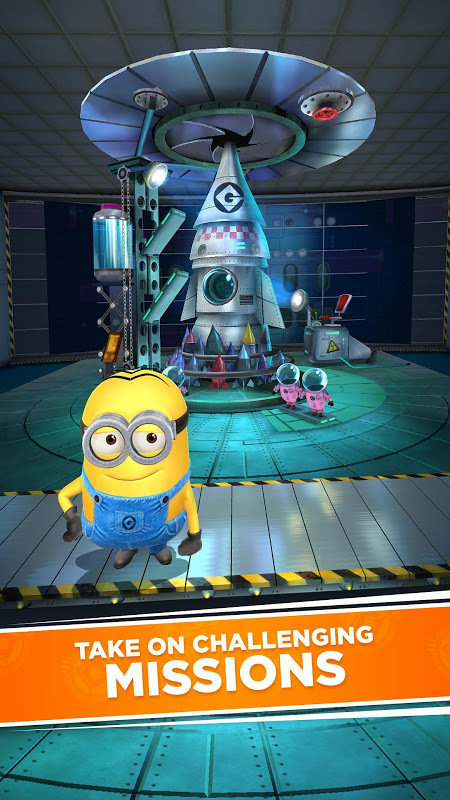 You'll never get bored as Despicable Me: Minions Rush comes with secret areas, boss fights and with original animation and voice-over which are complemented by 3D graphics of the highest quality. 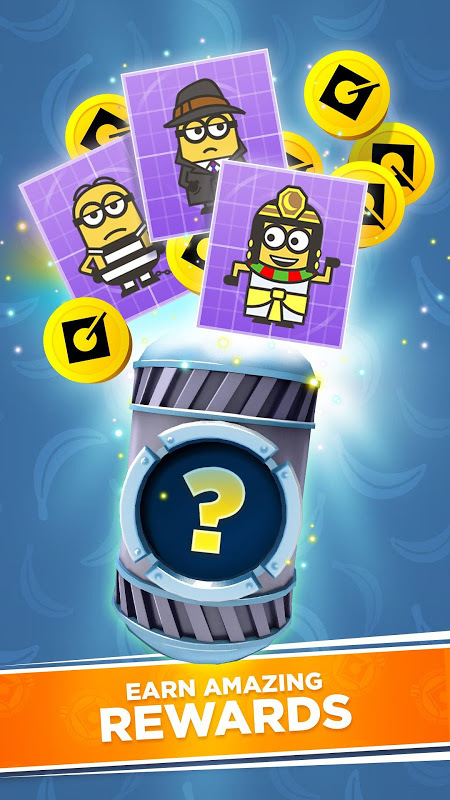 Some of the missions include destroying thins as a Mega Minions, collecting bananas while on board of the Fluffy Unicorn and riding Gru's Rocket. You can also go on a Mission to the Moon if you unlock special Power-Ups and join your friends to see their scores and who's closer to being crowned Minion of the Year. Download and play entirely for free, however please note that there is virtual currency in the game, which you can earn by progressing through the game, by watching advertising or by paying for it with real money. 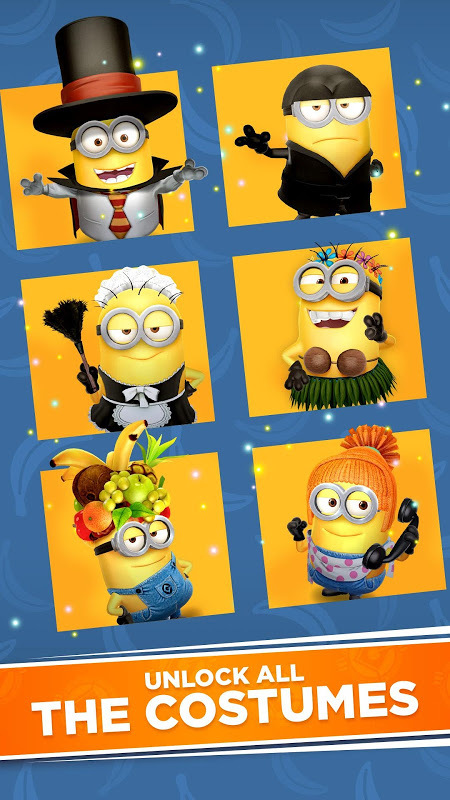  Is Despicable Me: Minion Rush yours? Claim it!